We have quite a bit of information available on insulin, the connection between diabetes and Alzheimer's, and ongoing clinical trials into the use of insulin as a treatment for Alzheimer's disease. You can find all of this information by searching the Alzheimer's Reading Room Knowledge Base. The study described below was designed to evaluate the effectiveness of chiro-inositol (Chiro) and whether or not it would enhance insulin action as a result protect the brain against Alzheimer's disease. 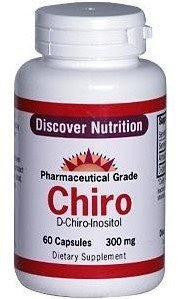 Chiro-inositol can be found in some foods but it is not usually abundant in most diets. However, Chiro is available as a nutritional supplement. Is anyone on our list taking Chiro? Would you consider trying this nutritional supplement? A nutritional supplement available over-the-counter may offer protection from Alzheimer’s disease, a study by the University of Virginia and Northwestern University suggests. Researchers at Northwestern and University of Virginia School of Medicine set out to evaluate the effectiveness of chiro-inositol, a compound that occurs naturally in certain foods and is available as a nutritional supplement, in protecting the brain from beta amyloid toxins, which cause Alzheimer’s. They conclude, in a paper published this month in The FASEB Journal (link available on Grounds only), that chiro-inositol “greatly enhances” insulin’s ability to prevent damage to neurons by toxic peptides called ADDLs. The damage and loss of neurons is believed responsible for Alzheimer’s. The findings indicate potential for a new strategy for developing Alzheimer’s disease treatments based on compounds already regarded as safe for human use, the researchers write. Chiro-inositols essentially help overcome insulin resistance in the brain, the researchers believe. The study showed chiro-inositols greatly improved glucose use in primary cultures of neurons, significantly improving insulin’s ability to prevent synapse damage when the cells were challenged with ADDL peptides. Encouraged by their findings, the researchers call for further investigation of chiro-inositols, including a clinical trial in humans and further development of drugs containing chiro-inositols. The research also opens new avenues to explore. The research team was led by William L. Klein of Northwestern University’s Department of Neurobiology. The findings were published in a paper written by Klein and Jason Pitt, a student at Northwestern, in collaboration with Thorner, Brautigan and Larner.